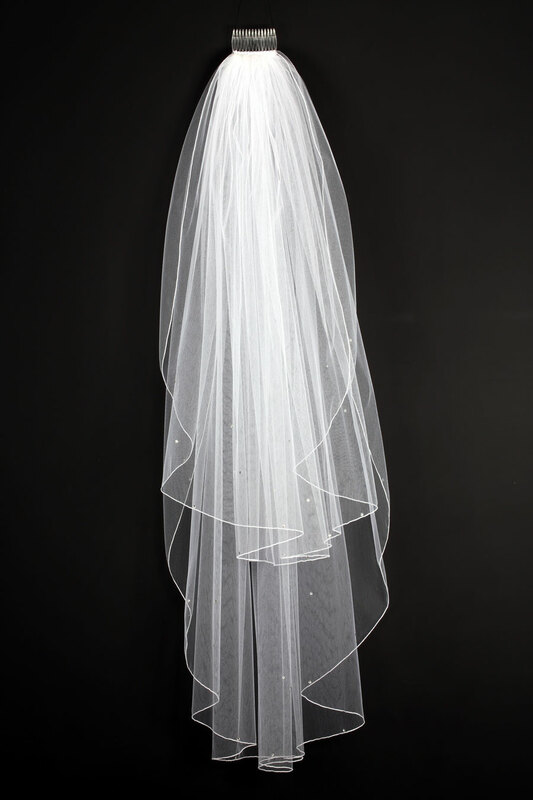 Beautiful crystal embellished veil in a Pencil Edge design. Veil has two layers with clear crystals in a border design on both layers. 72″ wide and fully gathered onto a satin covered comb. We can supply different colours and lengths. Please contact us for details. Please refer to information about veiling for lengths. 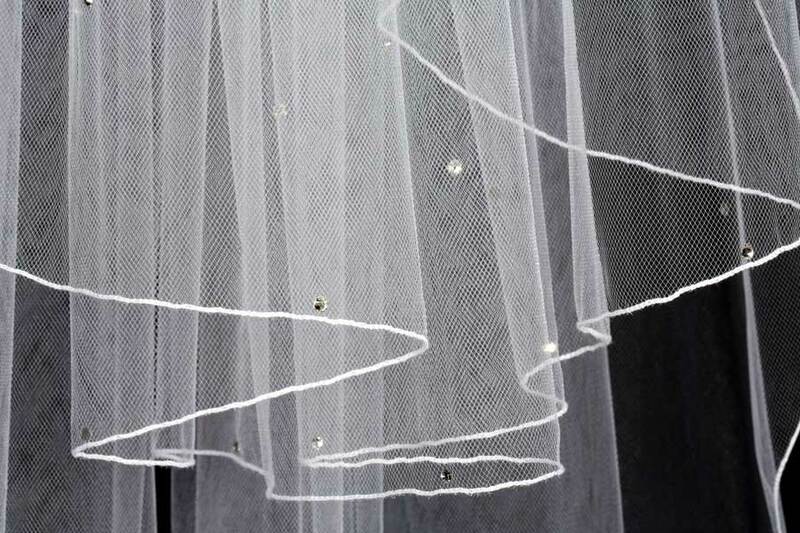 It is essential for veil orders, that you state what finished length you expect your veil to be ; from comb binding to longest edge (the drop) on the order / contact us form.